With thousands of pedestrians crossing at any one time, Shibuya Crossing is one of the most iconic sights in Tokyo. Known as the Scramble, a visit to this intersection is essential for first-timers to the capital. Any promotional travel video of Tokyo or even Japan features Shibuya Crossing, and with good reason. 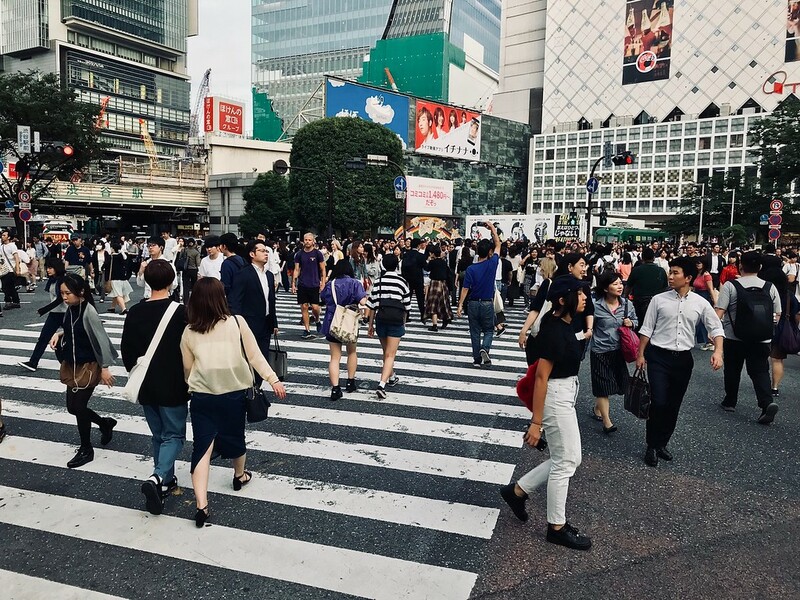 Located in front of the Hachiko Exit of JR Shibuya Station, this intersection of 7 crossroads sees hundreds, even thousands of people crossing at any one time with almost no collisions. It’s no mean feat given the mass of humanity surging across the road every few minutes, and the almost balletic movement of the crowd makes for hypnotic watching. 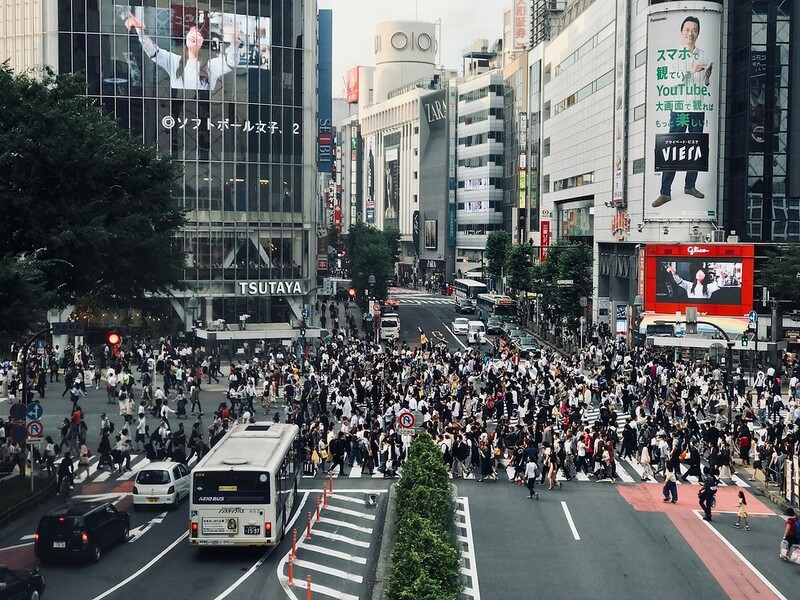 Besides walking across to experience it for yourself - and avoiding the tourists with selfie sticks and video cameras - watching the Shibuya Scramble from above is equally fun. The Starbucks shop in Tsutaya does give you the best classic aerial view. But, the L’Occitane cafe is also not a bad choice, and has the bonus of being a little less crowded. Another good view of the crossing can be found in front of the Myth of Tomorrow mural, through the windows of JR Shibuya Station. Any time is a good time to visit, whether day or night. But a particularly attractive time to visit is when it rains. The scramble turns into an impressively colorful sea of umbrellas bobbing along the road, making for some great photographs. Another good time to visit is on a Halloween weekend. Shibuya Crossing does become extremely congested with partygoers and youths dressed up for the night. But if you’re willing to brave the crowds, you’ll walk away with some very memorable photographs. Train: In front of Hachiko exit of Shibuya Station. 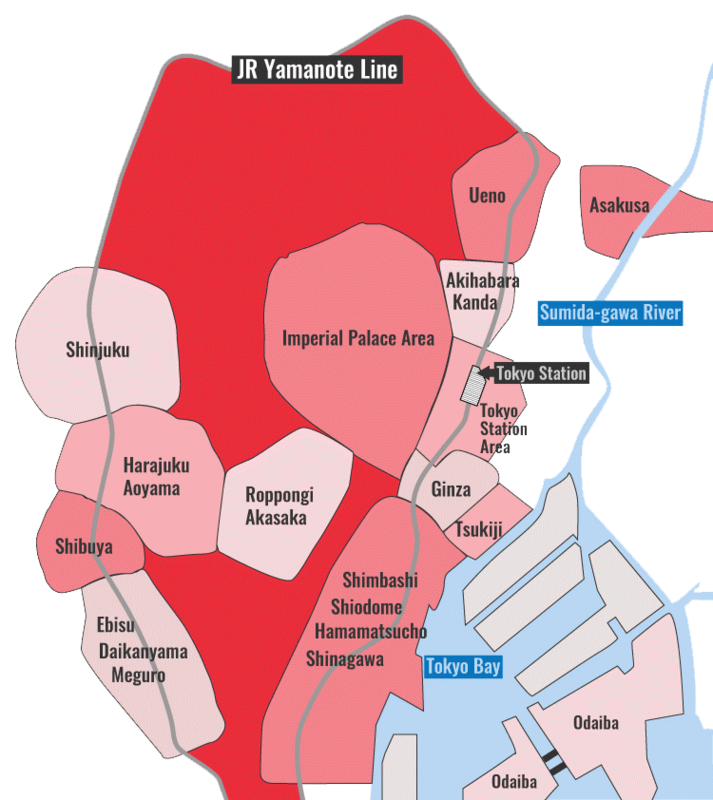 :: Check availability and pricing for hotels near Shibuya Crossing on Booking.com or Agoda.com. Shibuya Crossing is located in Tokyo's Shibuya district. See our complete list of things to do in Shibuya, including places to eat, nightlife and places to stay.